The origin, the beginning, this is where it all began, the birth of Cafe Racer Dreams was thanks to CRD1 Cafe Racer. 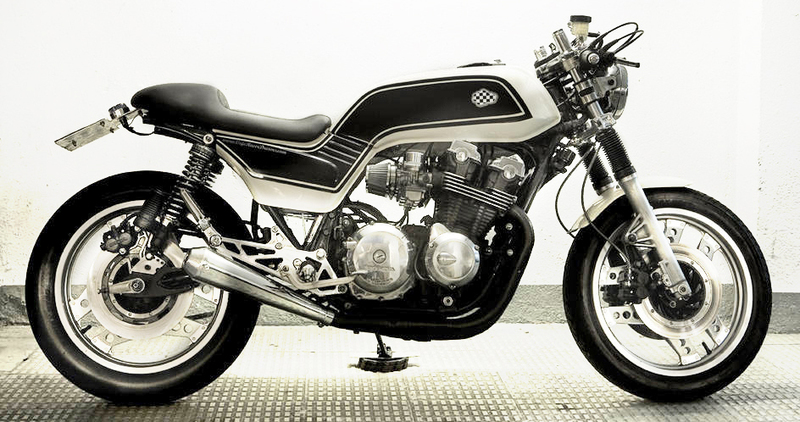 This bike was the first to be made under the Cafe Racer Dreams brand, and from this also came the idea of creating a brand that would make custom motorcycles. It was fate, that by creating create a unique bike a place appeared where classic motorbikes lovers could come and make their fantasies come true. Bike Exif, the Australian number one blog in the world of customizing motorcycles, soon started talking about this first work of Cafe Racer dreams and this helped greatly to unveil CRD inside and outside of Spain. Many things have happened since the CRD1 Cafe Racer was born, more ambitious projects, technical and aesthetic improvements, and a larger team to get better results … But like any great story, this is the beginning. And the origin of Cafe Racer Dreams was this white and black motorcycle, a proud bearer of the first puff of dreams. Bike Exif wrote this article about this bike. If you click here you can read the article that The Bike Shed wrote about CRD1.